An angler is considered officially registered once the KBS Committee has received the entry fee and completed registration form. Anglers may register in the Series up until Day 1 morning take-off of the last KBS partnered event of the season. Registration is not retroactive to event results occurring before an angler has officially registered. Anglers must be registered in the Series before Day1 morning take-off of an event in order for that event’s result to count towards their Angler of the Year (AOY) Points, Heaviest 1-Day Bag, and Big Bass of the Year credit. Anglers wishing to register in the series who are not yet eighteen (18) years of age on the day of the first event (May 14) must have a parent/guardian sign an indemnity waiver to be provided by the KBS. The tournament rules and entry process for each event is different. Registered anglers are responsible to make themselves aware of and adhere to each event’s official rules and code of conduct. The KBS has no reserved entry spots for registered anglers. Anglers are to register and pay tournament entry fees at their own discretion. The KBS will recognize as official the final standings as released by each individual event’s Tournament Director at the conclusion of that event. The KBS will have no influence or bearing on the final results and recorded weights at each partnered event. Total disqualification from an event due to a rules violation will result in zero (0) points awarded and total recorded weight of zero (0) at that event. Anglers will accumulate points as individuals. 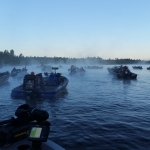 Registered anglers who are Boat Partners at an event will earn identical points reflective of their official team finish. Point system The AOY points race will use a 150 point descending scale point system. 150 pts allotted to 1st place, 149 to 2nd place, and so forth until the last boat placing position that records a weight is allotted points. 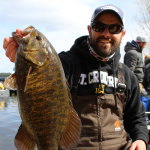 Any anglers who are registered and paid at a partnered event and then go on to record a total weight of zero (0) will be considered tied for last place at that event. Their official placing position for the purpose of calculating KBS AOY points will be the last placing position equal to the total number of paid boats entered at that event. If said tied anglers were Boat Partners at all events used to calculate their respective points: The tied anglers will share their placing position in the points race final standings. This includes First Place whereby the end result would be co-‘Anglers of the Year’. All prizes awarded for each prize place position that are a result of this tiebreaker will be given as a shared prize. If said tied anglers were not Boat Partners at all events used to calculate their respective points: The angler credited with the heavier one (1) day bag from any 2017 KBS event will occupy the higher placing position in the AOY final standings. Heaviest one (1) day bag ties will be broken by each anglers next heaviest one (1) day bag until the tie is broken. If there are three (3) or more tied anglers: Tiebreaker #1 will be applied first where applicable. Tiebreaker #2 will then be applied viewing any affected anglers from TB #1 as co-sharing a placing position. Registered anglers may compete in a minimum of one (1) KBS partner event to qualify for the Heaviest Bag Award. *new Both anglers competing as a two-person team in a partner event must be registered KBS competitors in order for their heaviest one (1) day bag to qualify. The Heaviest Bag will be defined as the two-person team with the heaviest one (1) day bag from any 2017 KBS partner event that they competed in as registered KBS anglers from any day of that event. Tiebreaker The team with the heavier second one (1) day best bag will occupy the higher placing position and so forth until the tie is broken. Registered anglers may compete in a minimum of one (1) KBS partner event to qualify for the Big Bass of the Year Award. The Big Bass will be defined as each registered angler’s biggest recorded Big Bass from any 2017 KBS partner event that they competed in as a registered angler from any day of that event. 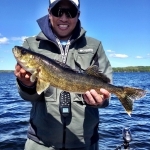 If Boat Partners are both registered anglers, they will share their placing position and will be awarded any applicable prizes as a shared team prize. Tiebreaker The angler(s) with the heavier second Big Bass will occupy the higher placing position and so forth until the tie is broken. If there are no other Big Bass caught by the tied anglers, the earlier caught Bass chronologically will finish higher in the standings. *new The top ten (10) anglers in the final KBS Angler of the Year standings at the conclusion of the series will qualify to compete at the Championship event. Big Bass of the Year winner will automatically qualify to compete at the Championship event. If angler is in the top ten (10) of AOY standings then 11th place angler will earn a spot. Angler of the Year winner from the MBA Amateur Bass Trail will automatically qualify to compete at the Championship event. Big Bass of the Year winner from the MBA Amateur Bass Trail will automatically qualify to compete at the Championship event. 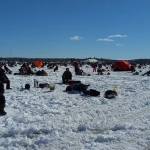 If an angler who has qualified is not able to confirm to attend the Championship by specified date leading up, the next angler in the standings will earn a spot i.e. 11th place and so forth. Spirit of the rule shall apply and prevail in all instances where the above outlined rules are in effect. The decision of the Kickerfish Bass Series Committee is final.